The canvas section of a tent provides protection from the elements. Not only must it keep out UV rays and water, it should be treated during manufacture to ensure that it is rot resistant and impregnated with fire retardant. The best tents are designed to ensure good air flow to keep you cool and be properly insulated to keep you warm in cold climates. Choosing a 4 season tent means that it is designed to be used during all of the seasons so you can camp all year round. A built in PVC floor with properly sealed seams are essential for keeping water out. 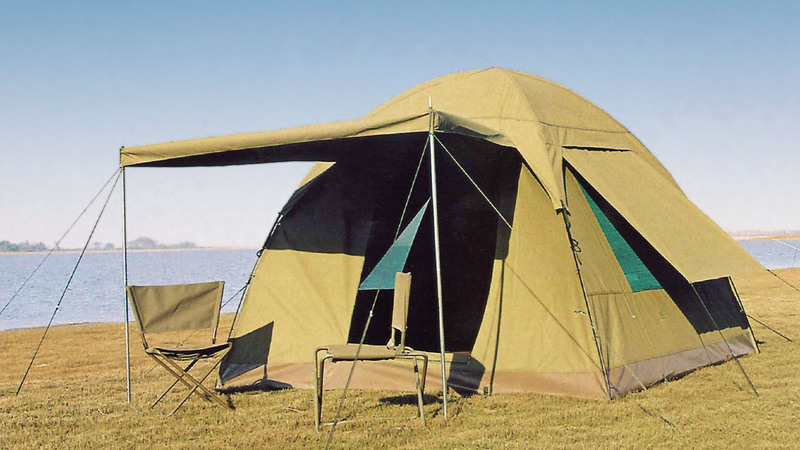 The tent’s design and structure should also minimise pooling while its zippers should be strong and durable. These factors all work together to keep your tent sealed and dry. Choose a tent with good quality mosquito mesh to keep out mosquitoes and other pests. This combined with a solid structure and heavy duty zips that work well and slide easily will make it much easier to keep your tent closed. A well designed tent should be easy to set up and pack away. The last thing you want to do is buy a tent that is virtually impossible to setup or takes too much time to install. And then when it’s time to pack up, it takes forever to pack it away and is impossible to get it back into the carry bag. Choosing a high quality tent that is made for all four seasons will ensure that you can enjoy camping any time of the year at any good camping site.